How does a busy father with no access to capital build a company with distribution in Whole Foods, Buy Buy Baby and many other stores? Zak Normandin is the founder of Little Duck Organics, which makes healthy food for children. Its snacks are 100% organic, kosher, gluten-free, and non-gmo verified. Hey, there freedom fighters. My name is Andrew Warner. 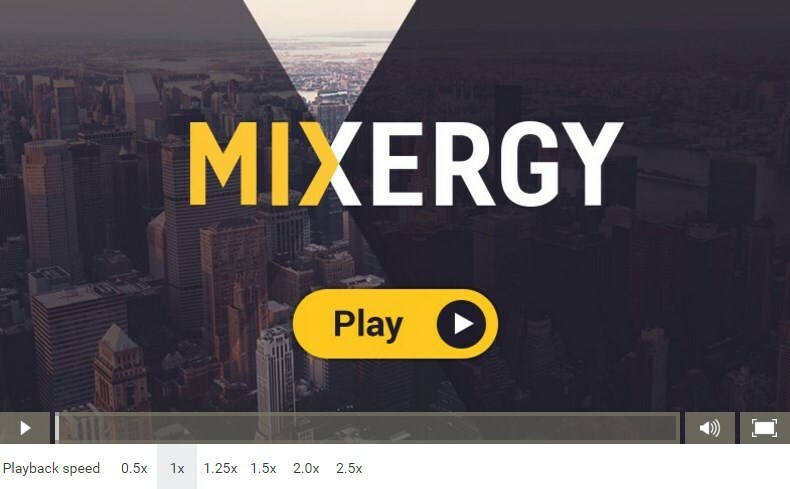 I’m the founder of Mixergy, home of the ambitious upstart. And how does a busy father with no access to capital built a company that has distribution in Whole Foods, Buy Buy Baby, and many other stores? Zak Normandin is the founder of Little Duck Organics, which makes healthy food for children. Its snacks are 100% organic, kosher, gluten free and non- GMO verified. Zak: Hey, Andrew. Thanks so much for having me. Andrew: Hey, what’s your revenue right now? Zak: So we closed our 2012 just under $2 million. Andrew: And how old is the company? Zak: Two years old now. So launched in 2010 and spent all 2009 building the company but just launched our kosher line in 2010. Andrew: Well, congratulations. You’ve done a lot in a short period of time. Zak: Yes. We tried to go, basically a couple of years, but thank you very much. Andrew: And you got the idea because you couldn’t find what? Zak: So I was looking, I mean, at the time when I started the company I had two kids and I was looking for some products to feed the kids that I knew weren’t filled with junk and that was really the catalyst for like kind of creating this brand. But aside from the nutritional aspect of everything, it was just no brands that I wanted to really like I wanted to buy, that I felt attracted to latch on from a brand perspective. And so I think the opportunity was two-fold. Nutritionally it was a lot of products with added sugar and added fillers and then I think, from a brand perspective, that category was lacking. The perfect storm of those two things led way to Little Duck as we know now. Andrew: And you know what? That’s surprising to me to hear you say that but maybe it shouldn’t be that you weren’t just saying to yourself ‘I want healthy foods for my kinds’ but you wanted a brand. Why did you want a brand? Zak: I think I’ve always been the kind of person to really like latch on to the products that I purchase. That may be the designer in me. Or maybe it’s just the entrepreneur in me, I think, that knowing the story behind the products you purchase is such a key element to, it makes it more of an experience rather than just a transactional think. And I think that that was the [??] for me, to brands. And a brand is like the way a product makes you feel and the backstory behind the product and all that stuff. So I think all in all, that’s what I found was lacking. Andrew Warner: Give me an example of a product that you used that made you feel like you understood and loved the brand and understood their story? I mean, who were you aspiring to be like? Zak: We want to be like a brand that everyone can be really [?? ], we want to be like the Method of the kids’ food category. We want innovation, creativity and design to be core to what we do as a brand. So Method’s a good story. Started by two guys, really looking to shake up the cleaning industry and successfully did that. They just exited a few months ago and there are a lot of brands really I think that have done that. If you think about Vitamin Water, another consumer product company. Vitamin Water did an excellent job of really creating a category competing with Gatorade to create a product that was iconic and, you know, kind of served as an accessory to on-the-go, busy people and I remember when Vitamin first came out. It was like the cool thing to have and that’s the thing, that’s the sign of a true brand. Something that people want to associate themselves with. Andrew: So you’re looking around to find some food for your kids and you’re saying ‘Hey, you know what? There’s no brand that I feel that I trust, there’s no brand that I love, that I want to give to my kids and also there isn’t food here that doesn’t have sugars and that is organic and healthy and I’d be proud and happy to serve my kids. I’m sure a lot of people felt that way. But to go from there to making the leap of I’m going to build a company around this and create this product, that’s really big, specially for a guy like you who doesn’t have any experience creating packaged goods businesses. So once you committed to launching the business, what’s the first step that you took? Zak: Well, the first step really was creating the look and feel of the brand, I mean, doing a lot of work. And that process happened for all of 2009 so it was really like looking, what is the product that we want to create, first of all, and what we decided on was this freeze dried food which is 100% fruit. The way it’s processed allows it to no preservatives or nothing else, it has a nice long life shelf life. The process that we use just allows the product to dissolve quickly so there’s no choking hazard, it hits all the check boxes that parents are looking for in a product like this. Zak: Correct. From a business standpoint, it was really like, which product has the least [??] of entry to me as an entrepreneur, as someone who’s starting business on my own and really just trying to get something off the ground and get some, in a lot of ways this was just a test. I didn’t know if the product was or the company for that matter was going to be as successful as it has been. At the time, I had a lot of optimism and I was very, you know, I was optimistic it was going to do very well. So, yes, it was, you know, I think the coincidence is that the simplest product for me to create and to get to market with was also the product that wasn’t available currently at Whole Foods and right now we’re still the only dry snack that’s made from 100% fruit in the kids category at Whole Foods. There’s no one else doing what we’re doing. Andrew: What other products did you considered? Zak: This was really like the one thing. I didn’t really consider anything else. We’re doing other products now but at the beginning this was like I knew that this was a void that hadn’t been filled yet. Andrew: How did you know that? Zak: I decided to go with it. Just from being a shopper, being a parent and just shopping the kids’ category often. Kids eat tons of snacks, they don’t usually eat meals. They’re just always grabbing finger foods. So we used to buy a lot of stuff like that and it was very apparent to me that other parents were in the same position as we were. Andrew: And actually that’s another thing. I’m sorry to interrupt but you told April that that’s another thing that you did early on. You started talking to other parents. What were you asking them? What were you talking to them about? Zak: I think the general vibe of the conversations that I had with other parents was always based around the nutritional aspects of the foods. You know, wasn’t that long ago that the company was started but I feel like health, nutrition and where our food’s coming from it’s been such a hot button issue over the last, you know, I guess, 5 years. It’s been kind of like on the uptake. It’s really in full swing now, specially in San Francisco where you are and right here in New York. It’s like “the issue” of the day all the time. It’s like, how local is my food? Who’s growing it? It’s not even about organic anymore, it’s about like, where am I getting this stuff? And if you just follow the news reports that are coming all the time with the health effects of processed foods and the food industry as a whole is just so ripe for disruption. There so much that can be done to change the habits that we have as consumers in eating food, which we do every day. Andrew: But when you’re talking to parents and you feel this way so strongly and you’re noticing this trend, how do you keep from influencing their answers in conversation? Zak: I think, I’ll be honest with you. There wasn’t a lot of market research that was done in advance to this. A lot of what the product and everything is really just intuition. It’s like, “Well I know that this is or I can assume that because this small pocket of people in my network is feeling this way, there are other people around the country that are feeling this way.” So it was really just that and then the other aspect of it was just that I knew that there was no one out selling a product like ours at Whole Foods, and that was the market that we wanted to go for was the specialty organic market, and I knew that because there was nothing there and there was a little bit of consumer research saying, “Yeah, of course I would buy that stuff over processed foods with sugars in them.” That was like, “the opportunity”, you know? Andrew: I want to ask you about how you had the product developed and manufactured but, let’s talk a little bit more about a topic that you brought up earlier about branding, because you spent time doing that. And the reason that you knew to do that early on is because you have a background in branding, right? Well, what did you do? Zak: Yeah, so, going back beyond when I started doing design work, I was in the Coast Guard, I did engineering work, and I was working as a consultant, designing test equipment for, it was basically avionics test equipment, but we would make face plates, touch screen assemblies, manifolds, and stuff, on the computer. And really just to supplement my income doing that work, I started doing graphic design work. And [??] way to working with some food comopanies just by change through networking and stuff, so I started working in food packaging and, I did that for about three years, and it was during that time that I was interested in the food industry, saw the opportunity in the experience, and then went for it. I had a few years of experience before that, but I’ve always been very entrepreneurial, and I think that the great thing about a brand is that you can take all of your energy and ideas, typically that are so jumbled where it’s like, “I have an idea for this, an idea for this…” You can just pour them all into one entity which is really an exciting thing for anyone who’s a Creative, to be able to take your ideas and just put them toward one project. Andrew: Thinking of someone who’s listening to us who maybe doesn’t have any packaging experience. What should they know about designing a package like yours for a new product? Zak: Here’s my idea. So it’s just someone, you know, instead of us owning the equipment to pack our products, we go to another company and we pay them basically a fee for every unit that they produce for us. Zak: So we manage the process, everything else beyond that but, we don’t carry the liability of having to actually put products inside of packages you know? Andrew: So if I go to a co-packer and I tell them that I want to create this product, they would suggest what kind of packaging I’d put it in and they would tell me what format they want my package design in, right? Andrew: And then it’s on me to design it, or to hire a designer to do it? Zak: To start the company, it would really cost maybe 20 or 30 thousand dollars. It was pretty minimal, there wasn’t a huge expense to get up and running. Not as much as you’d think for a food product. Andrew: OK. Where does, actually, the 20 to 30 thousand dollars go? Zak: Packaging is the biggest thing. You have to order your packaging and buy tooling all up front at one time. So that’s the biggest thing, and then obviously purchasing raw materials is pretty, in our case it was fruit, but purchasing your ingredients is, just getting that first run up and running is, that’s the majority of the expense. Andrew: So, I understand a little bit more about your design experience. What about your food creation experience? How do you even know how to take raw fruit and turn it into this product that we see today in those little duck organic bags? Andrew: You’re saying that you just go into the Co-, you find the co- packer that you like and you say, “This is the kind of package that I want, how do I design it for you?” Great, you understand that, you go back and forth a few times and the package is designed. You do the same thing for food? You say, “I’d like to give people organic food, no sugar added”, and they just do it for you? There’s no, there’s no internal expertise that you need to create that? Zak: No, a lot of times we have friends here in Brooklyn that are making beverages and that are doing other food products. There are food scientists that are willing to work with you on formulas and stuff like that and then in exchange for that they actually source the products for you. So I know a guy who does beverages that they went to a flavor house, they had them create a product and then they own the flavor profile but then you have that. They basically do the leg work for you to get it up and running. I may be making it sound a lot simpler than it is but I think at the end of the day, if you’re scrappy and you paint a picture that the end vision is that this is a mutual relationship that’s going to benefit both companies greatly, that’s the story that you want to tell in building those relationships. Andrew: How did you find the right Co-Packer? Zak: I interviewed, just flew around, I interviewed about a half dozen people and that was it. And then found one in Chicago. We do everything in Chicago, so we don’t do anything overseas. We produce our product in Chicago, we pack it, we distribute from there. We have about four of five different facilities in the Chicago area and then we distribute the products out nationally from there. Zak: So just from a logistical standpoint, Chicago, that ended being one of the big drivers of going with a co-packer in that area. Andrew: I see. Alright. And then, going back to the brand, what did you think about? What were you looking to create? Andrew: Oh, there it is. I should have asked you to hold up a bag earlier. Zak: So taking a step back. The parents now are very engaged in things that are not… how do I rephrase this? So, parents of our generation are very engaged in art and music and small businesses, start-ups and all of these different activities, and compared to the generation maybe two generations ago where when you had kids, your life just like basically completely changed. You were like fully, I’m a parent now. I don’t do any of the things I used to do. The shift that’s happened is that parents are very engaged in all these things, these activities, and having kids and are taking their kids and immersing them in their hobbies and stuff like that. We see that a lot here in New York and I’m sure you do on the West Coast too. We want to be the brand that speaks to those parents. I think there’s a lot of brands who speak to the baby or are maybe too institutional in the tone and the messaging. We want to be a little be lighter, a little bit funnier, like still have that trust factor but be relevant and hip and cool, and something that parents want to pick up and give their kids, rather than something that they’re like, well, this is an old brand. It’s not something I want to relate to or something like that. We’ve done a lot of marketing and different types of events and stuff like that that cater to those groups of people. Andrew: Let me understand how you do it. I recently did a course with Darik Blansryke[SP] of Greatest [SP] where he talked about how he came up with his company brand and articulated it early on. He basically said that, in a sentence or so, he wrote down who his brand is as if the brand was a person. So it’s that person you trust, who knows about health, but doesn’t make you feel bad about not knowing as much as he does. It’s that kind of thing that he sat down and he worked on. He also said, well, when I communicate with my audience I want us to . . . and then he started making decisions, like do we use all caps, do we use contractions like can’t as opposed to cannot. Who are we? That’s the process he went through to figure out what his brand was, and how to communicate that brand to his employees, and then to the world who was going to eventually start to discover his company. What was your process? Zak: Yeah. It was very much the same. I mean that exercise is a lot of fun, like saying, if I am the brands and going through what do I like? What kind of things am I engaged in? It was very much the same for us. It’s an integrative process. It always changes. I think that what makes great brands is having a brand that changes with . . .
Any time you have a stagnant brand, you know a lot of legacy brands have this problem. In our category, Earth’s Best hasn’t changed in 15 or 20 years. It’s the same brand and, in a lot of other brands, this is the problem with most consumer goods is when a brand gets purchased, it typically never gets developed beyond that point. The brand is just like the brand, and then they rely on the legs that the brand had before that to kind of carry things. I think just being on top of, I guess to answer your question, the tone and the creation process is something that’s always ongoing. We just changed all of the copy on our bags, and we’re kind of like moving towards a direction of more like a thematic type copy on all of our packages. It’s a little bit different than we had done before, but I think the tone and the imagery and the look and the feel is something that stays consistent. Andrew: I’m sorry. I still don’t understand. You sat down and you said, brand is very important to me. I’m going to make sure that I’m active about creating a brand that I want. What was that activity that you took? How did you do it? Zak: I think that that’s a thing that just happens. Zak: I think as far as creating the brand, it was just something that has kind of like progressed and developed over time. It wasn’t an exercise that was ever like a full-time thing for me. It is more now, but in starting the company and really getting the brand off the ground, it was never like that. It was more just, this is the starting point. This is the core focus of who we want to attract and how we want the packages to look. I still do all the package design, so just making sure that that is consistent, and . . .
Andrew: So, it was you sketching it out and saying, uh, huh, this feels right. This is the look I’m going for. This is the message that I want to communicate. It wasn’t writing it down and then acting, it was just acting, producing it and, through that production, you figured out what the brand was. Andrew: I’m sorry Zak here’s what I’m looking for as an interview. I want to make you feel like we’re on the same page. I understand how the lien start-up process works overall and so does the audience. What we’re looking for is your way of doing it. To hear the generalization of how it’s done isn’t as helpful as to hear even the mundane part of Zak’s life. Like if you sit down … if say hey, you know what Andrew, I sat down with some wine and I just started doodling until something came up or I talked with a friend of mine and I said this is my vision. He said no, that’s stupid and then I thought back and came up with a design. Like I want to hear your process even the boring parts of it. More than I want to hear about other people’s system. Zak: No, no I understand. It’s really not … I think like I said, in creating the brand it was just always something that it just happened. You know there’s no … there was I think it’s late nights. It’s designing you know on weekends. It’s kind of just creating a look and feel over time. I don’t think there was ever a … it’s something that happens every day, you know what I mean in designing the look and feel of the brand and something that our team spends a lot a time on just thinking about but in all that..
Andrew: How do they do it? Andrew: What is the core value? Zak: We just want to … we want to create the … we want to be I mean first and foremost it’s nutrition for kids. Beyond that innovation and creativity are our core values of ours and we have a new product coming out that it’s the first kids product with plantable packaging and it’s 100% compostable. There’s a way that we’ve said, okay, you know what’s the standard form factor and how can we be more creative in that. We sat down and you know made that happen. You know it’s not to be something that just happens. You know it’s just it’s a process that we go through but you know as far as the boring stuff goes this is like a 24-hour job. It’s just always ongoing and we’re you know we’re always a day behind. You know we set our goals very high and you know working towards something much greater than that. Andrew: All right. You found a co-packer. You figured out what the product would look like. What the brand would be? What would go in the bags? Now it’s time to get customers. How did you get your first customer? Andrew: Just sent them samples and you said something good is going to come out of this. Some of these people when they see this brand new kind of product, they’re going to buy. Zak: Yeah, we sent them out or I sent them out from my house and sure enough like probably a month after that, I got a phone call. I was at a wedding in Florida and got a phone call from our first store and it was a store that’s actually a great account for us still to this day in New Hampshire. They said, hey we want to place an order and we had … while we had products to send out for samples we didn’t have like production quantities yet. We just weren’t … I wasn’t at that point yet with the company. If I remember correctly we had like an issue with some of our packages and we were just way behind. You know we had enough to kind of like get the process rolling but we didn’t have enough to you know actively ship out orders. I took down all the information from the person and didn’t end up shipping. I think I was like in October or so. Didn’t end up shipping that order until like January or February of the following year. That was in 2010 when we finally launched. Yeah and beyond that we, you know I learned how the sales process actually works and how distributors you know come into play and you know just so much … just a much more detailed process than I was like kind of thinking in my naïve you know like start-up, you know early phases of this company. Andrew: I know what that’s like. All right, so you sent out 3,000 bags of product to 50 stores. How many orders did you get from that? Zak: Yeah, no, so taking a step back from that we had just to kind of I had built a small webpage. Just to kind of get an idea of what the consumer feedback would be on this product. I just had a free sample form up. That was where I had 3,000 bags. I had 3,000 bags that were made. This is where we didn’t have product to actually sale. It was just enough to kind of demo and get some feedback from people. Then the production run was later that year. You know we had the 3,000 packages and ended up like I said, creating a form where people could you know send away for a free sample. I had a little bit of extra money to be able to put it into this marketing effort and it ended up getting picked up by a mom blog. Who said, hey like there’s this new company, they’re offering free snacks for kids and they’re organic and all this stuff. We had 30,000 free sample request in one day. Where got you know full data on all the people, the customers that ended up you know we ended up building into a list that we have now and we still use. It was that point that like I really understood or I really … it was like [??] but often I said, this is something that I think if there’s this many people that are interested in just a free sample. I know we can convert at least one percent of them to be customers, you know, which equals you know the start of a good revenue source for me at the brand. Andrew: All right, let me break down both of those processes. The one thing you did was you sent free samples to stores. The other thing you did was you offered anyone who came to your website and filled out a form a free sample of the product. Andrew: Okay, let’s take it one at a time. When you sent out samples to stores how many orders from that did you get? Andrew: Just that one, okay. That’s not the way things work and you said you learned a lot about the sales process and distributors. What did you learn? How does the process work if not hey, here’s a sample and then the store says I’d love to carry something new like this? That’s not the way it works. What is the way it works? Zak: It’s more about personal relationships. It’s more about going to actually going to stores and presenting the product. Then there’s other people that come into play in that process. There’s people who have relationships, who you can leverage, you know brokers and all kinds of stuff. It was just a very … I was thinking that now that I know the way that stores purchase it’s not through one off samples that come to their store. They wait for one person to come there. They place an order for 1000 things at one time and then the order comes then the following week, you know. It’s just not, or you know on the national level like when we deal with Whole Foods and you know a bunch of other chains that we’re in, you know you go to one person, and then they make the decision for all the different stores that you’re going into. It’s a much different process than sending it out to stores. It was great exercise and you know over time we ended up getting in all those stores that I had sent the samples out to. It was a great learning experience. I didn’t know any better so I was just like well, let’s just give it a shot and then hopefully it works. Andrew: Then offering free samples online to anyone who gave you their contact info. That yielded 30,000 emails addresses and full registration, which I guess includes first name, last name, address where they wanted the product shipped. Zak: The whole [??]. Yeah. Andrew: Now, you’re a new entrepreneur as I understand it from your conversation with April, the pre-interview with April, you maxed out your credit cards. You don’t have 30,000 samples to ship out. You only had 3,000 to start. What do you do when you get flooded with that many requests? Zak: I mean I really had to like follow my sword. I just said you know this is above and beyond of what we had expected. We ended up sending out I think it was like 1500 samples of that group just to kind of like make good on some of that. Then the rest of it was just a matter of well, we you know, we can’t fulfill these samples and what we ended up doing when we had enough product to sell was we ended up taking that list and sending like it was, I think it was a buy two, get one free deal. Ended up doing that. It was like 10 bucks shipped the whole thing. Andrew: What was the reaction from people who you said, I’m going to ship this out to you if you feel out a form and then you said I just don’t have it now. I’m starting out. Zak: If I remember correctly there was just a few. There was a few people that did you know respond negatively. I think for the most part if you’re open and like honest about stuff and just say like, listen I just don’t have it. I’m a small startup. And I’d have to pull up the letter to see exactly what was written. But yeah, I think it was just like an honest thing, like, we just didn’t, we don’t have enough and appreciate all of your interest but we’ll be sure to make good and offer you guys a fair deal later, which is what we ended up doing. Which is basically like what we ended up offering was like a break-even thing, it was just to get people the product in their hands, start to generate some buzz on social media sites and all that, and then just getting the volume turning was the key main thing. And not losing money of course. Andrew Warner: How long did it take you to add the ability to accept orders on the site? Zak: We actually still don’t sell on our website to this day. We did at a time, we had a Shopify site, but now we sell through you know diapers.com and drugstore.com and a number of other sites. We’re just building a subscription model right now though for our stuff, so we’re going to be selling on our site but it’s just going to be through, it will just be in bulk like per a monthly ship. Going to do like individual units and stuff. Andrew: I see, so when it was time for you to make that offer to the 30,000 people who asked for the freebie, the offer that said buy two I’ll give you one free, you created a Shopify store. You did that to collect their orders and you sent them out yourself. Alright, so why didn’t you continue selling directly to people? If you had an e-mail list of 30,000 names and you saw that that was working for you, why did you decide to go a different way? Zak: To be honest it was just from a time standpoint my time was better, I mean the goals that I had for the company were greater then just selling online. So my time was better spent knocking on doors and trying to get into Whole Foods which I ended up doing in about 6 months time after the company launched. But that was where I knew that my effort was best spent. And as I’m sure you know, running an online community and giving like, just that whole process of, like, we still don’t send out regular e-mail newsletters because we’re so distracted with a thousand other things that are going on. It just takes a lot of time and it was just a time thing. It was something I didn’t prioritize. Andrew: Okay, alright. What you did prioritize was getting into stores and as I mentioned it worked out well at the top of the interview. You’re in Whole Foods, Buy Buy Baby and others. How did you get the next store? The first store we know came from sending out sample to a collection of stores that you wanted to work with. How did you get your next order? Zak: It was really just knocking on doors and actually going to the stores. So really my biggest break in this process was I ended up meeting a guy that owned a, a guy my age, that owned a natural food store in Peterborough, New Hampshire. Zak: And I had sold to him, he decided to give it a shot, and he’s like, hey you know you should talk to this guy I know. He’s a guy that comes in here, he’s always like repping new products and stuff like that and he has some good relationships. You should just give it a shot and talk to him. And I remember I ended up giving this guy a call, his name’s Ben, and ended up meeting him like two hours or, I can’t remember how far it was away from my house, on one winter night and drove up there, had a beer with him and he’s like, I really like what you’re doing. He was like a newer broker. He had some experience in the industry but he had relationships which is really key. We worked out a deal where he would represent our products in some of the meetings that he was going into. And he would like, basically what was happening was, he was like, you know he worked for a number of brands and he was like, here’s this product and here’s this product and here’s this product, and then also I have this product here. Andrew: And you were just one of many products he was showing. Zak: Yeah, exactly. And it was through that process that we got into Whole Foods really quickly. And that really opened the doors to a number of other opportunities. We got into the Boston area Whole Foods first and then from there we got into the New York area Whole Foods. And in about a year’s time we got into about 500 stores. But it was really just, a lot of people it was inside sales. It was like me knocking on doors and then for a week I would come to New York, knock on as many bodegas as I could, you know just trying to like get the product in front of people. And then I would go back to my office in New Hampshire and do follow up phone calls. It was tough, I mean, what we do now is tricky but getting that first like momentum to like get the product in people’s hands is really tough. Andrew: But you literally went from bodega to bodega in New York and you said, this is my product, I love what you got here, I’d like to show this to you because I think the people in the neighborhood would be open to organic foods for kids, that kind of pitch. Andrew: Do you remember your pitch? Andrew: Do you remember your pitch? What was the approach that you had with bodega owners who are always too busy to even talk to their own customers in New York let alone someone who’s trying to sell to them? Zak: I remember like going through cold calling when I first started doing that and just calling to stores. And I remember being so nervous, and it’s such like an inherent thing in what we do now just picking up the phone and calling people and talking about the product. But I remember being so nervous, like, I don’t know just getting over that whole fear of talking to people without I guess having something to sell over the phone. It’s just like, it’s a skill that’s kind of acquired and shaped over time, but, yeah I think it was normally just, you know, I’m Zak from LittleDuck Organics over the phone and just following up on a sample request, or, you know typically you’re right. Like Bodega owners they’re just so, they don’t have a lot of time to do much of anything. So it’s just a you know quick like, here’s my product and here’s a sell sheet and I was just hoping that you could check out this product and I’ll give you a call next week to follow up. And grabbing a name real quick and then just that’s it. Andrew: That’s it, just leaving off a sample and saying I’ll follow up with you next week. Andrew: And then you follow up and try to close, I’m sorry. Zak: This happens so much in New York that sometimes the store owners they’ll be like, well it will be the store owner that you’re talking to, and he’s like well you need to talk to Charlie or whoever, and he’s Charlie but he’ll just push you off to another guy in the back of the store packing the vegetable area or whatever. Andrew: Like some guy who doesn’t even speak English. It’s like go waste his time and we’ll have fun at your expense. Andrew: But eventually one of those store owners, not a bodega owner but another store owner, did say yes. And not only said yes but said, hey, you know what Zak? I like what you’re doing here, I relate to you because we’re the same age, let me introduce you to someone who sells meat products and I think he can rep you and sell you to other places. And once you found that you were good to go. Zak: Yeah, that was like a huge turning point. And I feel like, I haven’t talked to this guy in a while, I feel like I owe him an apology. In like reliving this whole thing, you know, just to kind of like say, hey man we’re doing well and I really have you to thank. Like it’s such a, thinking back on that process now, like that was a real turning point in the business was like was getting that person. You know even in fund raising and as the business continues to grow I can always go back to one contact. That was like this obscure thing that I didn’t know if it would work and then really kind of like was a turning point in the growth of our business. So yeah, that was it though. That was the one guy that, he was really instrumental and ended up opening a lot of doors. But we don’t work together anymore but it was just one of those things that really changed the dynamic of what I was doing. You know I may have still, I’m sure I would have found another way but it may have taken a lot longer. Andrew: We’re in your office right now. Is someone packaging something as we talk? Zak: We have, yeah, we have like an open office area so it’s, sorry is there tape? Andrew: No, not anymore, we’re good. Alright, so who was this person? If anyone’s listening to us who has a product, can they pitch them? Zak: It’s not a company. It was just an independent guy. He lives in Colorado. Zak: He lives in Colorado now. If anyone does have a product though I’d be more than happy to connect people to, there’s a lot of great independent brokers that are I think eager to help out with companies that have great products. So I’d be more than happy to pass along names and help people out. Andrew: I met the founder of Teavolution in DC. He has tea that is healthy but also when you buy it you get to donate money to a worthy cause, and you pick the cause that you want. Andrew: And I remember him going from Whole Foods to Whole Food, from store to whole store, and he actually got into Whole Foods by talking to the local, I guess the manager of the local Whole Foods? They always have room for local products there. Anyway, why wouldn’t someone like him go to a distributor? Is it as easy to get to a distributor as it sounds? Zak: Distribution is still like a really big challenge for a lot of companies. We ended up getting into distribution through our relationship with Whole Foods, and now we have distribution in any place in the country where you have a store. You can reach through one of our distribution partners. But it is a big challenge. And the one thing in our industry that really kind of is, the one things that holds people back from even moving to distributors is the margin that they take. So you need to have a product that has a high enough gross margin that you can be able to give up the 25 to 30% edge points of gross margin to be able to actually sell the product through the distributor. And then still build a profit for yourself at the end of the day. So there’s a lot of people that are taking and a lot of people that can help but that comes at a cost, you know? It’s not just something that’s kind of built into the structure of the industries. Andrew: OK. Why did you stop working with the guys from Colorado? Zak: There was really, I think he ended up moving to Colorado and that was part of the process. We really wanted to have people that were kind of local. And we parted ways because of I think it was just the work that he did for us was regional and we kind of maxed out that region. So his goal wasn’t to work with many brands and we were looking for someone that could just kind of drive the sales effort nationally. Andrew: I mentioned early that you maxed out your credit cards. Before you moved from Washington, D.C. to San Francisco, my latest move, I took the stack of cards that I had from my Bradford and Reed days, the credit cards that I used to keep around just for pride and I just cut them. There was this big pile of cut cards in the sink and then from there I tossed them in the garbage. But there were a lot. I think I got $70,000 in personal debt, most of it I think about $50,000 of it in credit card debt, maybe even more. How high did you go? Zak: I borrowed a lot of money from a lot of people and it’s very much the same. I borrowed $100,000 from my in-laws, $20,000 on one credit card that’s still, [??] doesn’t call me anymore but I jut don’t have the, even still at our stage, it’s still just not something that I can pay right now, I can pay off completely. I ended up maxing out three cards. It was probably, like I said, to the tune of about $30,000 in that initial phase and that was the only money I had. And then to go into actually breaking off and being able to do the company full time. Ended up borrowing money from my in-laws and then like before, I think the Credit Bureaus were able to like ‘Hey, this guy is like way over-leveraged’. I was able to get a bank loan, an unsecured bank loan for like, I think it was $25,000 or $30,000 to kind of like pull me through the final piece of being able to at least build the company to a point where I was able to raise money and that was when [??] and I was finally able to get some researchers to be able to scale things up. Andrew: How much did you take total, do you think, on your personal credit? Zak: Well, it was $30,000. Zak: Yes. It was through credit cards. It was one for $17, and then I had like a $10,000 and a $5,000 cards. Andrew: Did your personal credit get a hit because of all this? Zak: Yes, for sure. I can’t buy anything on credit now. Andrew: [??] said that he had creditors come to him and he had to pretend he wasn’t him. He was like that Bodego guy who was ducking you. I think that was the story, but he was really took on a lot of debt too. Zak: Yes. It’s like the only way when you don’t have like. I remember still the first time I maxed out a credit card. It was to do our packages and it was a full card. It was $15,000. All the available credit that I had on a card and I remember just thinking to myself, like, I have 2 kids and the only way I’m going to be able to pay this back ever is if I make this work. And that’s it. I have no turning back beyond this point. And I did. And I just still remember that feeling of processing that whole thing on my head. I don’t have the salary or anything to pay back $15,000 or even make the minimum payments on this for a while. But this is the only way I can make this work right now. Andrew: So what did it do to you, to your ability to produce, to perform? Zak: It just makes me work harder. I just don’t sleep anymore. Andrew: Was there ever a time when having all that debt made you almost unable to move? Zak: Not really, because it’s just a number. Andrew: I see. Once it’s enough to take you out to bankrupt, it doesn’t matter how much more you take on. Zak: Yes. Of course. I knew that, like, it didn’t really. I knew that my sole focus needed to be providing for my family and then making sure that the business was sustainable. And then beyond that, nothing else mattered. Like if I didn’t pay a credit card bill a few months or if I had to like renegotiate terms on a student loan or whatever, that all like was secondary. My main thing was making sure that, like I said, my kids were taken care of and then my biggest asset, which was the business, was still growing, we haven’t been super successful but I feel like we’ve made it past a lot of the hurdles food companies have, and it’s still the exact same set of guidelines I run the business by till this day. Like making sure that personally, we are taking care of, and business continues to grow. Andrew: And in 2011, mid 2011 you raised $400,000. How did you get an investor? Zak: We had like seven investors that came out on that round. Tom first, who started Nantucket Nectar’s. I had networked with him like a number of years prior and just kind of like kept in contact with him. He came in as one of our primary investors, and then, a guy by the name of Dave Ferneau [SP], whose our chairman now, came in as a lead investor on that first round, and he’s a VC in Boston. Who I ended up meeting at my cousins wedding actually. So it was like just an odd connection. I ended up finding out that he was investing in companies, at the wedding. Ended up meeting up with him, I think a few weeks after the wedding just because we like exchanged contacts, and I was like, hey, I’m building a business, this guy invests in companies. It’s mainly technology, but I was like, maybe he knows someone that’s interested in food or whatever. Then, two years after that I ended up reaching out to him, just kind of out of the blue saying, hey, I’m getting ready to raise money for Little Duck Organic. It’s my company I pitched to you like a while back. Do you know anyone who might be interested? He was like, yeah actually I’m interested in that. That just started the do diligence process of getting things going. Andrew: What peaked his interest? Zak: I think in general, just from a lot of technology investors. The idea of having like a tangible product that you can invest in is a very compelling, interesting idea. All of our investors right now are technology, most of them have a technology background. We don’t have anyone that has a deep long, history of food. I think that it’s the same for everyone. I think that there’s just, having a product that you can hold and touch, and that you can see on a store shelf. Investing in that I think is a really interesting. It’s a different dynamic than most technology investors are used to, right. Andrew: Was there something beyond the tangible product that they were looking for, like number of customers… Well, actually I don’t even want to make it a multiple choice question. What were they looking for? How are they analyzing this decision? Zak: So at that stage, we’re in 500 stores. In 2011, the year that we got funded, we only did like 250,000 in revenue. So our revenue numbers were really, really low. But I think at that point, investing in a company at that early stage, it’s really just believing in the brand. Believing in the team, which at the time was me. And I was very fortunate to have people rallying around me saying, yeah, we’re willing to give you a little bit of money to see where this thing goes. That was it, I don’t think it was like… I’m sure it was numbers driven. I think proving out the model was part of that process, and making sure we were able to scale, and looking at the comps and looking at what other companies are exiting the space with is definitely part of it, but I think that, early on it’s just like really believing in the team, and believing in the brand. Andrew: And you said that you networked with Dave of Nantucket Nectar’s a long time ago. How did you connect with him? Zak: No, that’s all right. So Tom’s like a local guy. He lives in Concord, Mass, and I grew up in (?)-burg. I can’t remember how we ended up getting to meet each other for the first time, but it was… I can’t even remember, but it was just kind of like one of these things where it was like. Hey, I’m starting a food company, you know, would you mind like, giving me 20 minutes of your time just to hear me out and tell me what you think of this idea. It’s really cool, thinking back now. That was when he had started, he was building O Water, which is, I don’t know if it’s out in California now, but it was like a Gatorade type of drink. He had done Nantucket Nectar’s, and then he moved on to this other start-up that he started. I remember going into the office, it was like really cool, this like big open thing. All these Vitamin Water guys that he had introduced me to that had built Vitamin Water. It was just like this really cool start-up environment. I remember thinking, this was like before I had ever like, I was still working out of my basement on Little Duck. I remember thinking, wow, this is so cool, it was just like a really cool environment, and something that I definitely aspire to be. It’s really cool that he ended up investing in the company. Andrew: I remember him advertising for years, Nantucket Nectars. It would be him and another guy named Tom. Two co-founders who were talking about the quality of what they were putting in to those Nantucket Nectar bottles and I’m glad that they did well. Zak: Funny you said that. We had our board meeting last week and we were talking about advertising and what the next step is for Little Duck. He said the number one best place that we could put our money for advertising was radio. He said ‘I still have people come up to me this day and they’re like ‘Hey man, I remember the Tom & Tom Nantucket Nectars ads’. It just like really cool. Basically it made us like celebrities over night. People were like Nantucket Nectars. I need to like get my hands on this stuff.’ It was like this cool thing because of the radio advertising, which at the time was obviously a pretty powerful medium, if you remember as well. Andrew: Still to this day I remember them. The fact that I even remember that they were both named Tom I think just shows how much their commercials stuck with me. All right. So then how did life change after you raised money. Zak: It was great. We were able to hire a team. I started the company in Peterburg, New Hampshire and then we ended up moving to Newberryport, Mass, just north of Boston because we had three investors who invested, including Dave, who lived in Newberry Port. It’s just a beautiful town so it was just like ‘OK. Let’s just be close to them and really try to leverage the experience that they’ve had in many years of growing companies. So we did after a year and then just moved to New York last year. And New York has been amazing. We raised another million, just over a million over the last just this past summer. Andrew: And you’re looking to raise in other round soon too? Zak: Yes. But that was a convertible and then we’ll raise some more, probably this summer. We’ll see how it goes. Andrew: Takes a lot of money to run a company like yours. Zak: Yes, it does. I mean, it’s a lot of, I mean, inventory is huge. It’s like having the bank financing or having the money available to get new product lines up and running was a huge part of what we do. And just investing in the right areas to be able to scale so a lot of companies, you get $1 million order. Well, a lot of companies can’t even support that from like an operations standpoint. So making sure we have the right people in place and the right systems in place to go support that is huge. Andrew: Yes. Where does the million go? The million that you raised in the last few months? Where does that go to? Zak: It’s really just new products is a huge part of it. So we’re coming out with a line of, we’re extending beyond the tiny foods. We’re doing the might oats, which is the kids oatmeal that we’re launching with Whole Foods in January. We’ve met with a number of other national retailers and we’re in the process of presenting new lines to them. Andrew: So when you have a new product launch and you have all this money to spend on it, where does it go? Does it go to creating the product, to keeping inventory of it, to sales, research? Zak: Not research as much. We’ve been pretty scrappy with the product development cost, but it’s still like buying the tooling for the packages and just like that initial inventory surge. We’ve just spent $30,000 today on cups for our new oatmeal line. It’s like that kind of stuff. Zak: No. Like on cups. Andrew: That were folded because then people just add water to it. Andrew: Got you. So we talked about how the first product was created because you saw that there wasn’t anyone doing it. Now the second product is oatmeal. There are tons of people who are doing oatmeal, including well established big name brands and smaller mom and pop operations. Why did you choose this? Zak: So it’s a baby oatmeal so it’s a first food for babies. And similar to the Tiny Foods line, it’s a void in the market that no one’s filling right now in what we’re doing. So the push right now from the medical community standpoint is to get white rice cereal off the shelves, which is like an empty carb, there’s no nutritional value to it. It’s usually fortified with vitamins and stuff like that. There’s no wholesome nutritional value to it. So what we did is we created an ancient grain base, so we’re using quinoa, amaranth, chia, buckwheat, [?] and oats, so it’s just really hard to eat with the proprietary blend, this ancient grain base of baby cereal. And we’re mixing in spice and fruit so we’re doing a strawberry vanilla, blueberry cinnamon and coconut banana. So it has like a really fun flavor profiles and then we wrap that whole thing in a very innovative package. Andrew: I want to eat that. I’ve been looking for oatmeal for breakfast hereI can’t find anything that’s not just empty carbs. Zak: Yeah. There’s a lot of…and that’s the thing. You should do it man. Andrew: Is it going to be enough for me as an adult? Zak: Oh. No, no, no. I was saying you should start it. Andrew: No. I just need to eat it. I need something good to fire me up in the morning. Zak: Yeah. It’s tough and six miles is long. It’s six miles from my house to my office, and I ride my bike and it’s like a good workout. So, I can imagine San Francisco with the hills and six miles. You need to recharge after. Andrew: Yes. Yes, and they finally got a toaster in the office here. Zak: Check out Cocomama. There’s a company that’s making a ready to eat quinoa cereal. It’s called Cocomama Foods and they’re in the Boston area, but you should check them out. It’s good. Andrew: Oh yeah. Here. I don’t want to make too much about this, but I have a…One of the local companies goes and…No. Actually, no. This is from Amazon, just a quinoa bowl. Zak: Yeah, yeah, yeah. Perfect. Andrew: I’m not sure how healthy it is, but I enjoy the taste and it feels healthier than rice or just bread. Andrew: Alright. Let me say this before we end the interview. I want to ask you one other question. One question that I didn’t even know how to ask earlier in the interview, but I think I need to ask it. But first I want to say that if you’re listening to this interview and you’re into the idea of creating food products and selling it, this is the kind of business that you’re curious about, not the tech companies that I’ve been doing a lot of interviews with and that I focus on here on Mixergy. Go to mixergypremium.com, where I have about a dozen interviews with entrepreneurs who created food based companies. I’m actually looking right here at a post that I did about Bill Keith who runs Perfect Foods Bar, and I remember in the interview did with him. He talked about how he and his family would go into stores with their food bars. They would sample. They would try to get as many people as possible to try it out. They sent me this package of it, which was fan-freaking-tastic. Now whenever I walk into whole foods and I see in the supermarket section that Perfect Foods Bar, I just think wow. How far they have come, and in that interview you’ll see how they did it. That and several other interviews on companies that want to create actual products so you can feel in touch and eat. If that’s the business that you’re into, go to mixergypremium.com and start watching those interviews. Alright. Zak. You’ve watched my interviews for years. Andrew: An ugly WordPress site. Andrew: You even listened to…I saw the Tweet that you sent out to Gary Vaynerchuk and Tim Ferriss. You listened to those two interviews. In the interview that I did with Gary Vaynerchuk, I don’t know if you could see it, but I was sweating. I was nervous, and in the intro, I used to record separate intros back then so I had to acknowledge it, because I felt like everyone’s going to laugh at me for being so nervous. I’ve gotten more comfortable over the years, but I’m still not totally there, and those people who heard my intro saw that, you know, I still goofed a little bit, but I’m getting there. I sensed…The reason I’m bringing this up is I sensed that you were a little nervous in this interview, and I don’t know you as a nervous person. I never talked to you before, but I see you online and you don’t seem like a nervous person. What happened? Zak: No, no. I’m not nervous. I mean it’s…Yeah. I think maybe just getting the flow down, it’s like, you know. I don’t know. Anytime you meet someone for the first time, it’s just like, you know, you’ve got to get through the dynamics of just learning how to read them. You know, just the relationship aspect of communication and all that stuff. But yeah. No. I’m not nervous at all. I definitely appreciate the opportunity to, you know, to talk to you. Andrew: When you started reading me, what were you picking up on? What were you looking for? What was going on? Zak: Just, you know, nothing. I don’t know. I guess just kind of getting used to the flow of how the interview would go. I guess anytime you go into an interview it’s always just, you know, just wondering like what the questions are going to be. Like what the next thing is going to, you know, what the direction of the interview if going to be and I think, what you’re known for is throwing those curve ball questions. And maybe, I was just anticipating one of those curve ball questions. Andrew: I was going to throw a curve ball question but and I decided to hold back because it seemed like… the energy wasn’t right for it. It seemed like I was making you uncomfortable already. I didn’t want to do any more. Zak: Oh no, not at all. Andrew: Should I have acknowledged it earlier on in the interview? Zak: Ah yeah, for sure. Zak: Yeah, if that was the case, yeah. Andrew: I’ll know that for next time. I wasn’t even sure that even calling attention to it might make it more present in the conversation. So, I thought, let’s just let it go for now. Zak: No, no, yeah, I’m a big fan of if something’s wrong you gotta like speak up and say it, right? Andrew: What do you get out of these interviews? You have been listening now for years. Zak: I think just, it’s the motivational aspect of seeing other people that have done it, and this is part of the community here, in New York. There is the thing that I found most valuable in the community here, is just that being surrounded by other people who are in the same process as you are. Whether they’re a couple years ahead or you know even a little bit behind, I think that there’s always something to be learned from that. So, yeah, I think, I just I remember I was just talking to someone about this yesterday, I remember, even before I started Little Duck, watching Donnie Duetsch back in the day when he was doing the Big Idea. And I just thought it was so cool, it was just such a motivating thing, to be part, to just absorb all of this energy created by these people who were starting businesses. You know how this is, once you’re in it, it’s just addicting. Once you’ve, created something, it just becomes a part of your life. I was always attracted to that, and now I have the opportunity to be able to do it for full time for my work which is it’s just an amazing opportunity, so. Andrew: You say it’s addictive, but it many ways it’s like a gang that you put yourself into, because you said that you can’t get out. You got so much debt, there is no way out, you now have your name on the line. You have your reputation, you have a team of people who are counting on you. And before that even, you had debt that said, “If you get out your going to get the beat down of your life.” I think that the Crips and the Bloods do that too. If you try to get out of our gang you get the beat down of your life and then you are welcome to leave. Zak: I don’t really have any… the only out that I want is an exit. You know? Which is a win. So, it’s the out for me, eventually, and I’m not even ready for that. It’s something that eventually, when all of the ideas are gone, and we’ve exhausted every, new products, and everything else then I’ll be ready to be over. But, until then we are having lots of fun. Like I said, I feel very lucky to be a part of the community here in Brooklyn and a part of the greater food community as a whole, and doing something that I love every day, it’s a huge blessing. Andrew: Right, see? And now we are flowing, I learned something in this interview. If there is any kind of awkwardness, or if I am even thinking that there might be some, I got to bring it up in the conversation. Now, I need to find a way to do it so that it doesn’t make it worse, but I’m going to think about how to do it and I’ll practice in future interviews. Andrew: Okay you got to keep getting better all the time. Andrew: The company is called Little Duck Organics, and apparently even adults like me are going to want to eat their baby food because it’s so good. But, go check them out, and, Zak, thanks for doing this interview. Zak: Yeah, I appreciate it, thank you, Andrew. Andrew: All right thank you all for being a part of it.